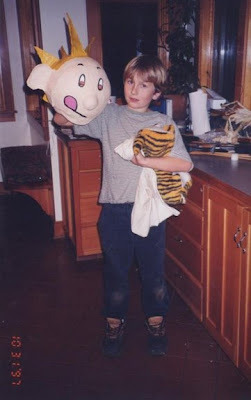 Growing up I loved Calvin and Hobbes(as pictured above). I am dyslexic and struggled to learn to read. Calvin and Hobbes' writing was easy enough for me to decipher yet sophisticated enough keep me interested. From age nine until eleven, i amassed the complete Calvin and Hobbes collection.